What does it mean to be a Christian? 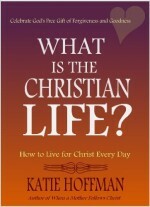 How should a Christian live? In this concise book, these questions and more are answered, giving women a greater understanding about what the Christian life is like. Author Katie Hoffman reveals the power of the gospel to change hearts and lives.